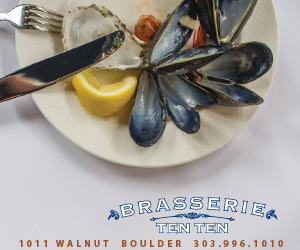 Monthly Friday-night receptions and artwalks are a tradition at galleries and in art districts throughout Boulder County. In addition to opening receptions at galleries, you’ll often find live entertainment, food and drink, and other businesses with extended hours. 1615 Pearl St., one block east of Pearl Street Mall, 303-544-5803; www.artandsoulboulder.com. Contemporary gallery shows national and international artists working in paint, sculpture, ceramics, art glass, wood and jewelry. 1326 Pearl St., on Pearl Street Mall, 303-443-8248; Facebook: Artmart Gifts. Jewelry, art and home-decorating items made by local, national and international vendors. 2490 Junction Place, 303-594-6594; www.artmovementcolorado.com. Contemporary art and sculpture for private collectors and public corporations. Gallery open to the public weekdays, 10am-5pm. 1237 Pearl St., on Pearl Street Mall, 303-444-4079; www.rare-maps.com. Antique and rare maps, globes, classic posters and prints including botanicals and vintage Colorado photographs. Arts Longmont artist-members exhibit their work in a variety of Longmont locations, including Longmont United Hospital, High Plains Bank and Burlington Medical Center. Check www.artslongmont.org for updates, exhibit announcements and special events. 1421 Pearl St., on Pearl Street Mall, 303-443-3683; www.boulderartsandcrafts.com. Artist-owned cooperative offers pottery, jewelry, painting, photography, glass and other work by more than 200 artists from Boulder and beyond. 2590 Walnut St., 303-447-2422 ext. 3; www.bouldercountyarts.org. For more than 30 years, BCAA has supported artists and arts organizations through grants, Business of Arts workshops and exhibit opportunities, and the website maintains an extensive calendar of arts events around the county. 2500 47th St., #10; www.bouldercreativecollective.com. BCC’s Warehouse is an event space and gallery where Boulder-area residents can “connect with art through exciting and unexpected events.” It offers art exhibits, classes, social hours for artists, and a Community Critique (every other month) where artists can share their work and get constructive feedback. 1001 Arapahoe Ave., 303-441-4397; www.boulderlibrary.org. The Canyon Gallery and Corridors show national touring exhibits and changing works by Colorado artists. Meadows Branch Library, 4800 Baseline Road, hosts local artists, and Carnegie Branch Library for Local History, 1125 Pine St., features historic Boulder photographs. 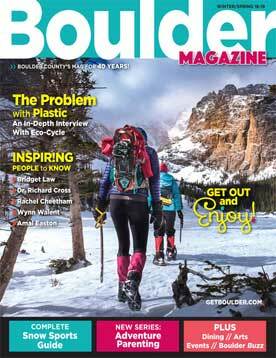 www.boulderlibrary.org. 2870 Bluff St., 720-379-5328; www.artpartsboulder.org. Besides offering donated, reusable arts and crafts supplies for very low fees, Art Parts also hosts the Bricolage Gallery, featuring changing exhibits with art made with reclaimed materials. 201 N. Public Road, Lafayette, 303-661-1261; www.cityoflafayette.com/collective. The Collective is the city of Lafayette’s clearinghouse for arts and culture, with rotating exhibits, historical displays, networking opportunities for artists, lectures and special events. 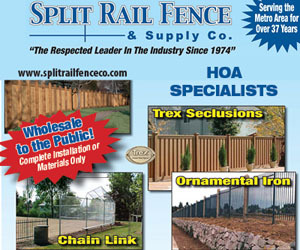 Open daily except Monday; check hours online. 916 Main St., Louisville, 303-684-0043; and 401 S. Public Road, Lafayette, 303-604-6454; www.creativeframingartgallery.com. This frame shop’s Louisville location showcases the rotating works of local and national artists, with an opening reception on first Fridays. 1302 Pearl St., on Pearl Street Mall, 303-444-2277; www.crystalgalleries.com. Mother Nature’s most exquisite artworks in a gallery-like setting. Dazzling crystals, polished minerals of all sizes and colors, museum-quality fossils and shells, and Boulder’s finest, most eclectic collection of René Lalique glass. 2590 Walnut St., 303-440-7826; www.thedairy.org. The Dairy recently renovated its four art spaces and hosts a total of more than two dozen exhibits per year. 600 Longs Peak Ave. (inside Bin 46 Wine Bar and Restaurant), 303-485-7191; www.thedarkroomlongmont.com. Dedicated to fine-art photography, the Darkroom features the work of artists with national and international reputations as well as those just making their mark. 9853 Highway 7, Allenspark, 303-747-2861; www.eagleplume.com. Historic 1917 trading post specializes in the arts and crafts of the American Indian. 311 Mapleton Ave. (by appointment only), 303-442-0180; www.emiliaceramics.com. Original, functional ceramic artworks from the Mediterranean and Mexico. 2327 30th St., 303-448-1000; www.boulderfastframe.com. Local framing store houses Art Den Gallery, featuring rotating exhibits. Receptions are first Tuesdays of the month from 5-7pm. 1708 15th St. at Arapahoe, 303-447-2841; https://15thstreetgalleryboulder.com. Specialty framing studio also features gallery exhibits of contemporary works, with an emphasis on paintings and works on paper by American artists. 667 Fourth Ave., Longmont, 303-651-2787; www.firehouseart.org. FAC offers art classes, lectures and workshops for aspiring artists and art appreciators of all ages. The galleries host rotating exhibitions; openings are second Fridays. 809 15th St., Golden, 303-279-3922; www.foothillsartcenter.org. Forty-year-old arts resource housed in historic buildings features a sculpture garden, exhibitions, programs and art classes. Exhibits mingle Colorado artists with their regional and national peers. 430 Main St., Longmont, 303-772-7293; www.longmont.thegreatframeup.com. Artists’ Gallery hosts monthly receptions and rotating exhibits of new Colorado artists. 420 Courtney Way, Lafayette, 303-229-1127; www.artunder.org. The new HUB Gallery at the nonprofit Arts Hub in Lafayette features an 80-foot-long hall for displaying a variety of gallery showings throughout the year. 2015 Ionosphere St. #104, Longmont, 303-523-7228; https://squareup.com/store/ImpastoArtGallery. New gallery in Prospect New Town is open Mon-Fri 10am-2pm. 7123 Arapahoe Road, 303-444-7734; www.homeimport.com. Large-scale importer of Asian antiques and artifacts offers furniture, textiles, baskets, architectural pieces, Oriental rugs and a sculpture garden. 112 Second Ave., Niwot, 303-652-0512; www.littlebirdniwot.com. Botanically inspired boutique features local artists and gifts like jewelry, photography, pottery, glass, fiber arts, paper arts, and organic body care and clothing. 400 Quail Road, Longmont; www.longmontmuseum.org. The work of local and national artists is often on display in the museum’s Portal Gallery. 801 Grant Ave., Memory Square Park, Louisville, 303-666-8668; www.louisvilleart.org. Renovated circa-1904 brick schoolhouse displays works by local artists and offers art classes for all ages. LAA members exhibit their works at businesses around town on two-month rotations; see schedule online. Benson Sculpture Garden, 1125 W. 29th St.; www.sculptureinthepark.org. Chapungu Sculpture Park at Centerra, off Centerra Parkway and Highway 34; www.centerracolorado.com. Benson Sculpture Garden in the middle of Loveland has nearly 150 sculptures on permanent display. The 16-acre Chapungu site features 82 stone sculptures carved by artists from Zimbabwe. 2000 21st St., www.madelife.com. Madelife is a launchpad for artists and entrepreneurs, with a gallery, black-box theater, sound studio, collaborative workspace, retail store and showroom. 4715 N. Broadway, #4B, 303-442-3142; www.marisolimports.com. Features handcrafted furniture, folk-art pieces, hand-loomed Indian rugs, and home and garden accessories. 5311 Western Ave., Suite 112, 303-938-1588; www.marywilliamsfinearts.com. Gallery specializes in antique prints and maps that focus on the American West, as well as botanicals, animals and other topics. Also houses a superior collection of Russell Chatham original lithographs. 4692 N. Broadway, 303-938-0123; www.mercuryframing.com. Custom picture framing for artists, collectors and art lovers. 6287 Arapahoe Ave.; 2130 Arapahoe Ave.; 3285 30th St.; www.naropa.edu. Naropa University’s three campuses have a total of five visual arts galleries that exhibit student, faculty, local, regional and international works. 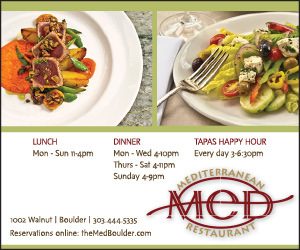 1215 Pearl St., Boulder, 303-443-7625; 5 E. First St., Nederland, 303-258-3557; www.naturesown.com. This rock shop and gallery is crammed with fossils, geodes, all kinds of stones, curios, household items made of stone, and old-fashioned toys. 1850 Table Mesa Drive, 303-497-1000; www.scied.ucar.edu/exhibits. The National Center for Atmospheric Research has a Community Art Program that selects hundreds of artists each year for individual and group exhibitions in the cafeteria’s exhibit space; there are also two art-science galleries with rotating exhibits. 4089 Highway 66, Lyons, 303-823-0607; www.nicholasangelo.com. Paintings and prints, African art and rare books. 1909 Ninth St., 303-786-9746; www.nomadbeads.com. Unusual beads, gold and silver jewelry, and folk art from Asia, Africa and the Americas. Nomad’s new store, Adorned, is right next door, offering fully finished jewelry pieces from local artists. Check online for classes, events and sales. 1909 Ninth St., 303-444-1925; www.nomadicimporttraders.com. “High vibrational” home décor, sacred objects and antiques, mostly from Thailand. 290 Second Ave., Niwot, 303-652-2668; www.osmosisartgallery.com. Contemporary fine art from more than 40 Colorado artists, including paintings, sculpture, jewelry and one-of-a-kind gifts, plus a sculpture garden. 401 S. Public Road, Lafayette, 720-890-7888; www.particularsart.com. pARTiculars is an artist-owned gallery and teaching studio in the heart of old town Lafayette. Classes for adults and children include painting, photography, crafts, book binding and jewelry. 7504 Hygiene Road, Hygiene, 303-651-1106; www.rabbitbrushgallery.com. Rabbit Brush showcases the works of local and regional artists, plus fair trade goods. 400 Main St., Lyons, 303-823-5900; www.redcanyonart.com. Open daily, this gallery features fine art, jewelry, stained and blown glass, pottery, weaving and home accessories by more than 100 Colorado artists. 1301 Spruce St., 303-301-2972; www.rembrandtyard.com. The walls of this downtown event center showcase rotating works by regional artists. 700 Tenacity Drive, #102, Longmont, 720-745-8441; www.coburnstudio.com. New in summer 2018, this gallery features the pottery of Russell Coburn, photography by Elliott McDowell and jewelry by Laura Wallace. 1116 Pearl St., on Pearl Street Mall, 303-444-7200; www.smithklein.com. Gallery of traditional and contemporary paintings, sculpture, hand-blown art glass, jewelry, and a collection of old and new fetishes. 95th Street and Arapahoe Road, Lafayette, 303-666-4220; www.timbalier.net. Features a gallery of handmade crafts by local and national artists, plus gifts, jewelry, accessories and fine stationery. Henderson Building, Broadway at 15th Street, 303-492-6892; www.colorado.edu/cumuseum. The museum’s Changing Gallery and BioLounge showcase a variety of rotating art exhibits. 1537 Pearl St., 720-460-0463; www.exclusivelyvoss.com. “Lifestyle store” offers everything needed to make a house a home. Many products are handmade from recycled or found materials. 915 Walnut St., Louisville, 505-797-9239; thewalnutgallery.com. Gallery in downtown Louisville features fine oils, acrylics, photography, glass art, jewelry and wearables.